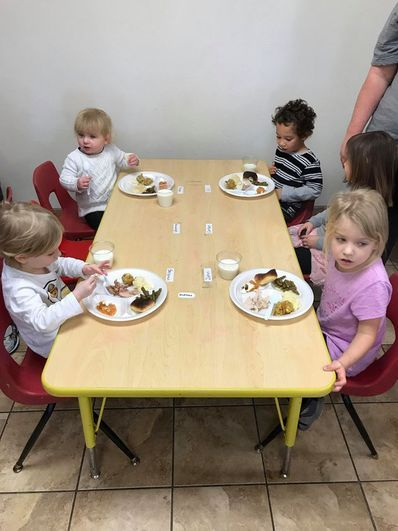 At First Baptist Daycare, we recognize that the two-year-old is on a quest for independence as they grow from a dependent toddler into a strong, confident preschooler. Our two-year-old environment will foster this independence by providing everything your child needs within their reach. 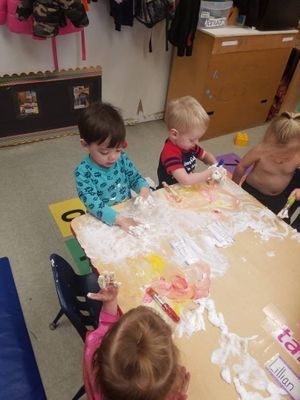 Child sized tables, chairs, shelves and other equipment are chosen carefully to place all materials within each child’s reach, completing this age appropriate environment. Enhance Self-Esteem: Children make choices, choose activities they enjoy and can succeed at, and learn to control their environment. through hands on play in a variety of ways. Your child will reach important milestones this year, and our caregivers will work with you to encourage and nurture your child’s development. Language development, enhanced self-esteem, toileting, and increasing intellectual awareness are some of the challenges your child will face. Please talk to your child’s caregiver about your outlook on these issues and let us know what strategies work best for your child. 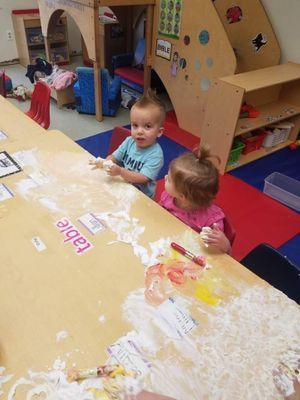 When we work together, we provide the best possible environment for your child.